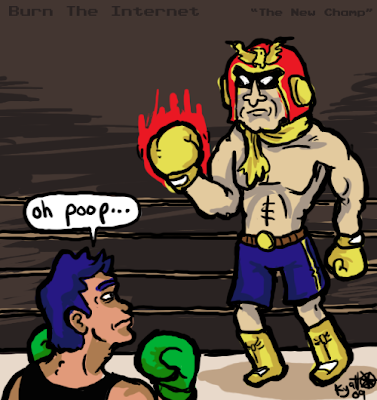 There's been a good amount of speculation over who the final guy in the Wii Punch-Out!! is going to be. While fighting Captain Falcon for the title would be awesome, the Falcon Punch is far too brutal and devastating of an attack to be allowed into an E10+ game. On an additional book-keeping note, I got a request to do an F-Zero related drawing, which this hopefully satisfies. Such a great concept, could have used a bit more time.